Seeking a professional assistance who can serve you with a unique and cutting edge website? 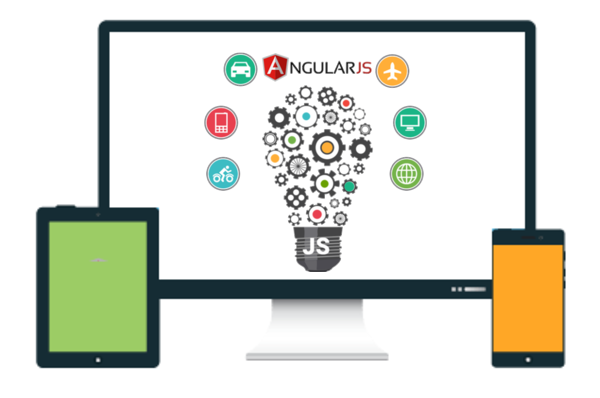 NSSR Digital Infotech can serve you with a complete solution of Angular JS Web Development. Being a premier website development company our team comprehends comprehensive Angular JS technology with which we are able to serve you with a structured website based on your business sector, either it is a small scale industry or a large one. Our team has gained core expertise in Angular JS Web Development which we implement to develop a user friendly and prominent website. To serve you with a high performance and cost effective website we follow iterative website development method. As per this cycle prototyping, designing, development, and test goes hand on hand. This reduces possibility of error to the least. Especially for huge projects iterative method assist us to match our deadlines. With the expertise of Angular JS Web Development we serve you with a high performing and scalable website which is precisely oriented to your business domain making it a potent platform for your business development. So just share your business specifications with our experts and leave the rest to us. If you are already having a website developed on Angular JS framework and willing to update it with the latest features then our professionals are at your assistance. With the experience of several years and adequate knowledge of Angular JS Development we can assist you to migrate your current website into an updated version.